Based on the latest data, the chances for a landfall of Hurricane Matthew in the Southeast United States have increased. Here is Matthew as of 5:45pm CDT. The eye will pass over or come very close to far southwest Haiti. Severe flooding, mudslides and winds and storm surge that will cause catastrophic damage will occur over that part of Haiti. Over the rest of Dominica, major flooding is likely. Sustained winds are 140 mph with Matthew at the present time. 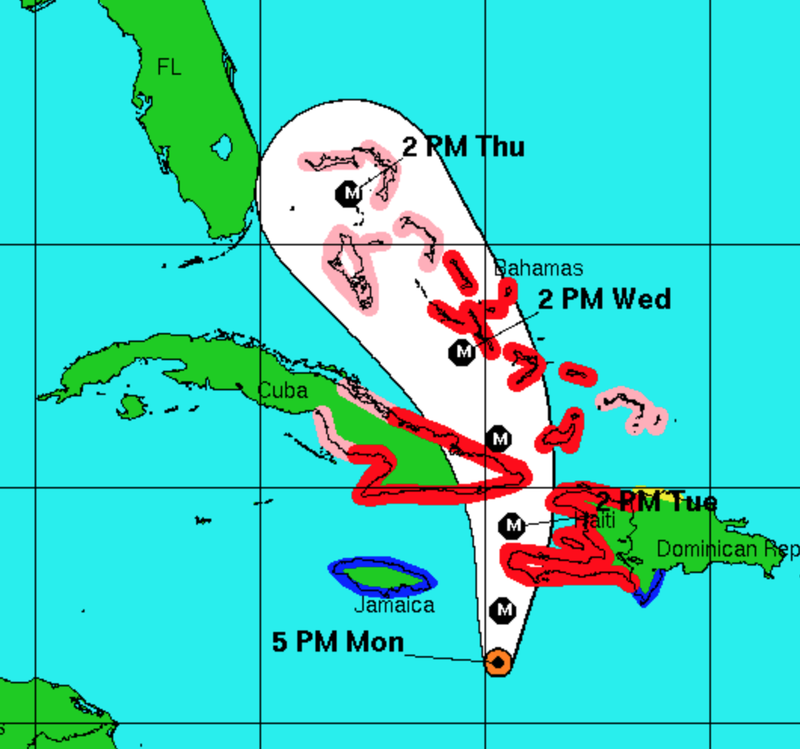 Here is the latest track path and watches/warnings from the National Hurricane Center. Pinks are hurricane watches. Reds are hurricane warnings. The final symbol (M = major hurricane) ends at 2pm EDT Thursday. Beyond, Thursday, what is the outlook. While our skill in forecasting hurricane tracks beyond 72 hours still leaves something to be desired, the weight of the evidence is that Matthew is going to significantly affect the Southeast. 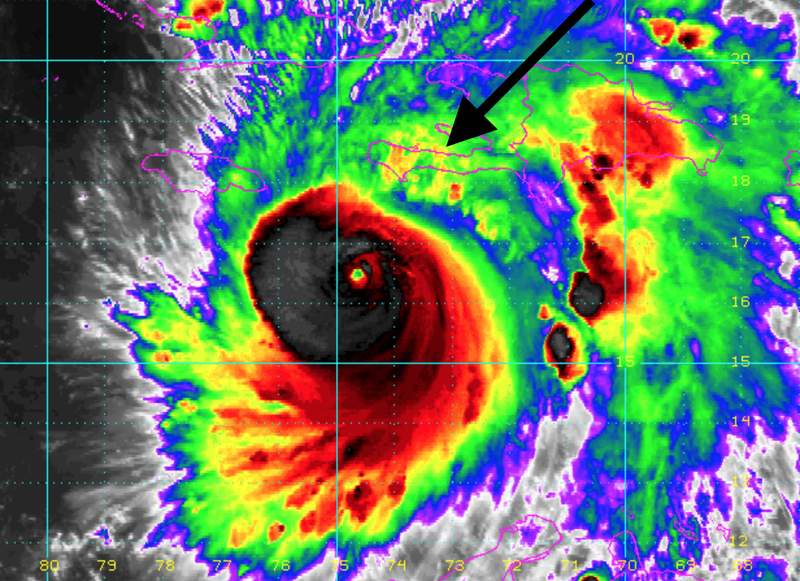 It is impossible to give an exact location of landfall at this point. Make sure I have plenty of cash. Credit cards and ATMs do not work if there is no power. Fill up autos and other vehicles with gas. Again, gas pumps do not work without power. If you have a generator, fill it with fuel. Make provisions for infirm relatives. Keep cell phones, laptops, and other electrical appliances fully charged. If you don't have a generator, get an inverter which can recharge small items (cells phones, laptops) from your auto. Make sure prescriptions are filled. There will be more suggestions tomorrow as the event gets closer if the forecasts trend in this direction. Please tell your friends about this site if you find it helpful.